Monday Night Combat is a true fusion of genres. The title is a third person shooter tower defense hybrid very much in line with DoTA. This should be no surprise considering the lineage of the Uber team: many of the developers worked on the DoTA game Demigod. The hybrid concept alone creates a very addicting blend, but the developers kept building on the idea. They created a humorous, quirky design that draws clear parallels with Team Fortress 2. They developed six highly varied character classes, each with their own unique style, moves and weaponry, as well as a create-a-class option. They then pushed the limits for an Xbox Live Arcade game with in-depth persistent career through single player, co-op and online multiplayer modes. In the end, it becomes increasingly hard to classify this game, as it breaks many typical molds; however the game is easy to describe: it is flat out awesome. The first thing that becomes apparent about the game is the personality that the team has fused into the design. The pixels seem to come to life in an over the top presentation. The concept takes a clear nod from Monday Night Football, calling itself, “The most popular, lethal sport of the future.” The game is not afraid of being intentionally silly at times, using goofy sponsors such as AmmoMule, a product that will keep your ammo cool and your bacon hot. The character design captures this humorous, futuristic feel nicely, creating a group of cartoony but real feeling options for the player. In the end, they go beyond just classes and feel more like characters, each with their own unique weapons, skills and play style. In the coming weeks we hope to profile each class more in-depth, but in the meantime, the six character classes are as follows: Assault, Tank, Support, Gunner, Sniper, and Assassin. The game offers two primary modes. 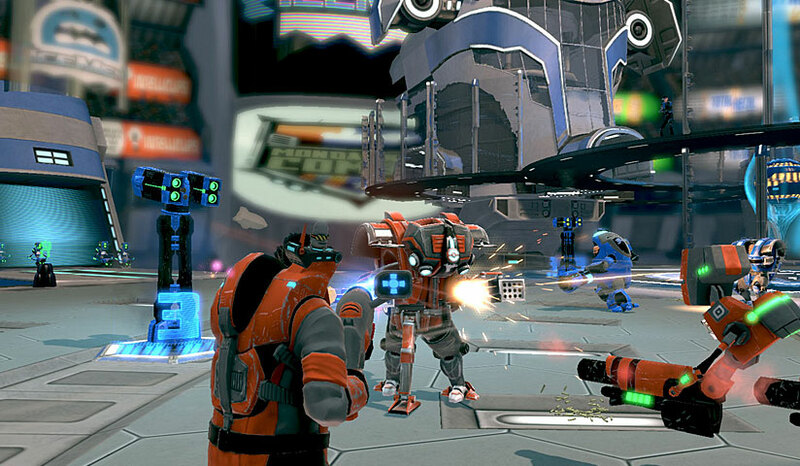 In Blitz players defend their moneyball against waves of attacking robots. As they defeat these enemies, they will earn gold which can be used to activate turrets and other defenses within the arena. 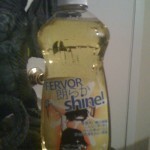 The gold can also be used to upgrade player abilities or upgrade existing defenses. 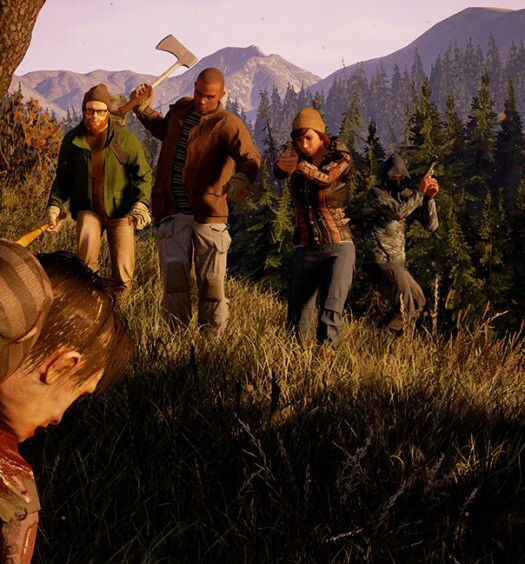 This mode can be played either by a single player or co-op with up to three of Xbox Live friends. 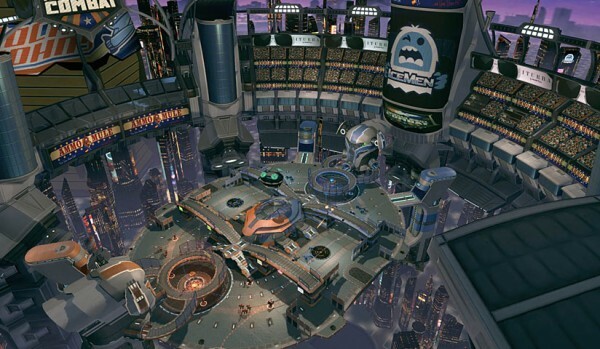 The other game mode is Crossfire where two competing teams will face off with an endless stream of robots at their disposal as they attempt to destroy the other teams moneyball. This six on six game mode adds the complexity of human opponents to the already exciting Blitz mode. While at E3, I managed to get some hands on time with the Blitz mode. I chose the Assault character. He provided me with a standard well rounded assault rifle and a grenade launcher as a secondary weapon, as well as a jet pack and the ability to perform a charge at enemies in order destroy them. My moneyball was in the center of an arena with multiple branches out toward what looked like enemy spawn points. With only one player, enemies only come from one direction, which I found rather easy; however, I was assured the game gets harder (they have the demo set on easy for press) and scales when multiple players are added to use the additional pathways to the moneyball in the arena. As I played, I found myself more and more engrossed, as the game had perfectly captured my attention with the addictive grasp only a tower defense game can do. If the addictive nature of the game did not offer enough replayability as it is, Uber has developed a career aspect to the game. As players play through their careers they will earn unlocks, such as custom classes and protags. Protags are unlocked by performing specific actions and help allow players to show off their skill. 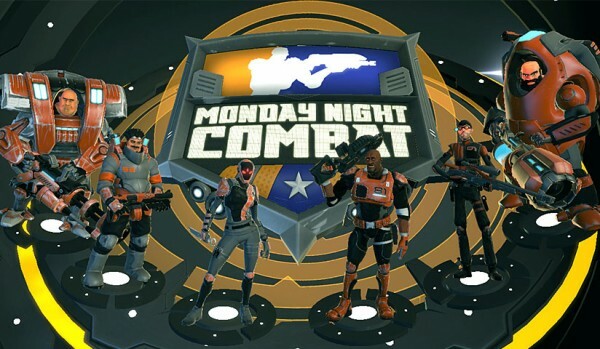 Monday Night Combat does not currently have a release date; however, it has been confirmed as part of the 2010 Summer of Arcade lineup. Expect this download to reach Xbox Live Marketplace in the next few months for 1200 Microsoft Points.